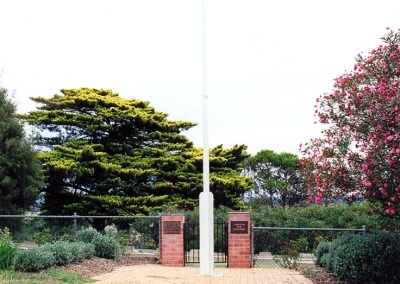 After World War I, on 11th February 1922, the Mayor of Camden Alderman George Furner conducted a ceremony to dedicate the Soldiers' Memorial in Macarthur Park to the memory of Fallen Soldiers. The unveiling ceremony was performed by Mrs. Alice Small whose husband Hector was among the fallen. 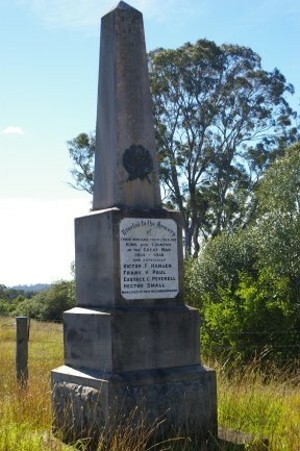 The Memorial was funded by a public subscription among the citizens of the District and was created and built by Mr. Percy Butler. 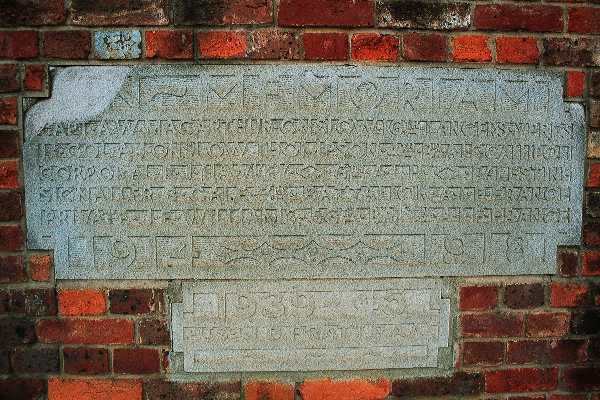 The sandstone for the project came from the Moore property at Mount Hunter. On the 16th September 1922 Miss Sibella Macarthur-Onslow unveiled the Memorial Gate, which was presented by Dr Francis West, and constructed by stonemason Alderman W. Kerwin. The steps leading to the road also form part of the Memorial. 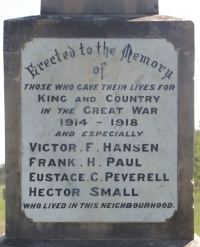 The stone pillars have "Lest We Forget" inscribed in gold lettering, along with the names of those from the District who volunteered for active service in World War One. 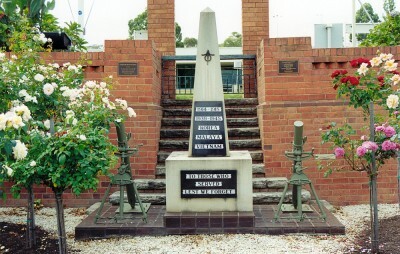 Placed on the lawns as part of the Memorial area are three guns. 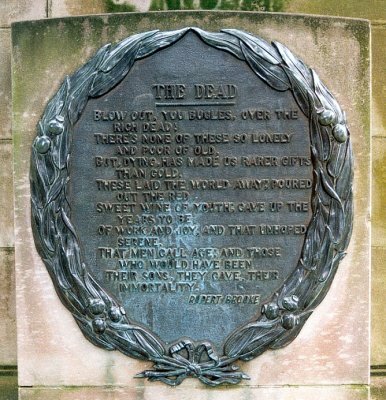 These are described as War Trophies and are among thousands of similar items that were brought back to Australia from the battlefields at the end of World War I and distributed throughout the country for incorporation into War Memorials such as Camden's. The Items at Camden are all of German manufacture. The row of Palm Trees in the park close to the Cenotaph is said to have been planted from seeds brought back by Camden Soldiers returning from Egypt. 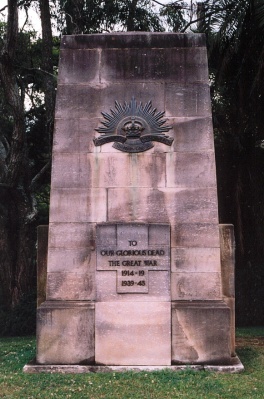 Anzac Day Services were held at The Soldiers' Memorial up until the late 1990s when because of the limited space the Services were moved to another location in Macarthur Park to accomodate the ever growing numbers attending the Service. 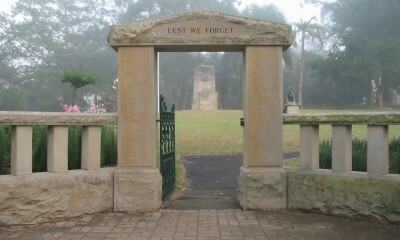 Veterans would march up John Street and along Menangle Road to assemble in the peaceful setting of the park. In 2007 the location for the Service was moved again. With the Veterans finding it more arduous each year to march up John Street, the downhill route along Argyle Street to a new Memorial Site in Bicentennial Park opposite the Camden RSL Club was adopted. 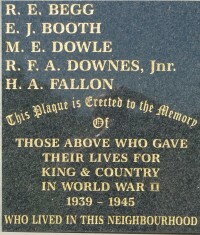 This Plaque is on the Soldiers' Memorial in Macarthur Park. 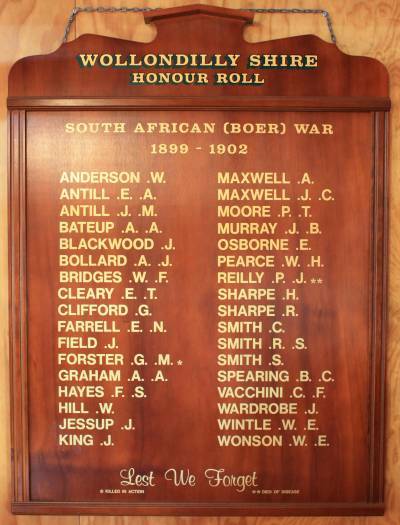 Sub-Lieutenant Rupert Brooke, a renowned English poet, died aged 27 on a French hospital ship in the Mediterranean on 23rd April 1915 while serving with The Royal Navy Mediterranean Expeditionary Force on their way to the battle at Gallipoli. The Anzac Day Dawn Service which has been held for several years now at The RSL Memorial Rose Garden is growing in popularity each year with the 2009 Service declared the biggest yet. 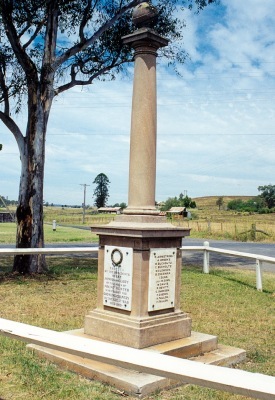 Camden War Cemetery located on the corner of Burragorang and Cawdor Roads, three kilometres south of Camden Post Office is the serene resting place of seventeen RAAF servicemen, four army personnel and two RAF servicemen who were stationed in the Camden area during World War Two.